It is generally assumed that regulations affecting medicines are more stringent than those concerning food supplements and cosmetic products. Hence, calls are routinely made to apply to more products the legislations of medicines. Some EU Member States profess that several products shold be classified as drugs to protect consumers. The reality is mixed. The legal standard for efficacy of herbal drugs is currently lower than for food supplements. Advertising of medicines is sometimes more questionable than for cosmetics products. It seems that classification, at least for the less potent products, has little to do with the interest of consumers and that the categories are incresingly indistinguishable. It is important to remember that the European Court of Justice has clalrified on multiple occasions that the same product can be classified as a drug in a Member State and as a food supplement in another. This means that before commecialization in a Member State an in depth assessment must be made. 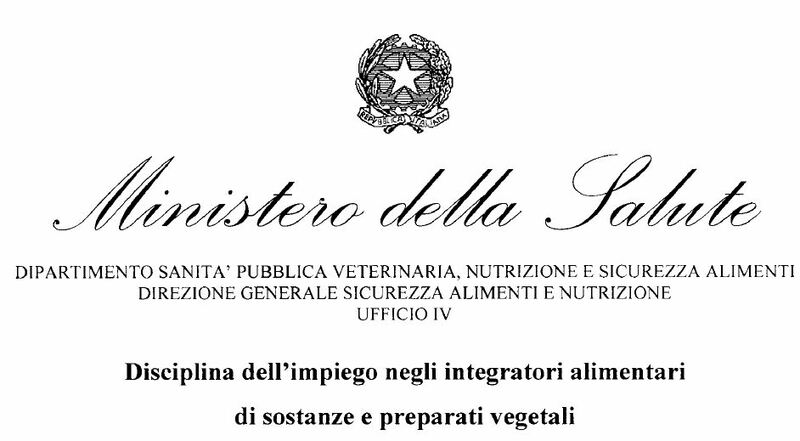 The General Direction of Food and Nutritional Safety (DGSAN) of Italy and the Department of Prevention of the Institute of Social Security for the Republic of San Marino (DPRSM) are now working together to facilitate cooperation in product and manufacturing conformity to EU community legislation. The protocol, which recently entered into force, specifically looks at the entrance of new products to the market and the verification of manufacturing facilities and processes situated in San Marino. Before this accord took place, a food supplement importer residing in San Marino, which is not a EU Member State, had to notify the Italian Ministry of Health of the product that was to be imported and sold in Italy. What has changed is that now, the same Italian importer that resides in San Marino must add “RepSM” in the subject line of the notification form (found on the website: www.salute.gov.it). Also, if a note of reply is requested from the Italian Ministry of Health, the same “RepSM” must be present in the subject line. All communications to and from the Italian Ministry of Health will also be forwarded on to the DPRSM. If food supplements have a positive review from the DGSAN, the product will be included in the specific registry on the website located above. It is important to note that both offices will be collaborating in the area of misleading advertising that does not conform to EU / Italian standards. DGSAN will make note of any advertising that is misleading / illegal on websites located in San Marino and will communicate this to the DPRSM and the DPRSM will do the same for Italian websites. The second major impact of this collaboration is the control of production facilities by Italian authorities (DGSAN) with assistance from the DPRSM within San Marino. If an inspection takes place and the production facility is given recommendations on how to conform to legislation, the DPRSM will verify that the recommendations have been implemented. If and when they have been put into place, the DPRSM will communicate to the DGSAN to close the procedure on said production facility. 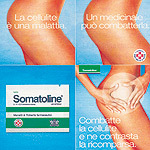 In practice the protocol, which enforces a previous agreement, means that the Republic of San Marino is relying on the Italian authorities, regulations and administrative practices for the assessment and management of food supplements and dietetic products, and that there should be no differences in the products marketed in the two countries. While the general procedure is relatively straightforward, specific situations should be analyzed on a case-by-case basis, especially for sports nutrition products. On February 3 2011 the Italian Ministry of Health has notified the European Commission and other Member States, under Directive 98/34/EC, that it intends to adopt a Decree on plants and plant extracts that can be used in food supplements, as defined by Directive 2002/46. The text of the draft Decree is available here. The Decree includes around 2000 plants that can be used in Italy and that are not currently considered Novel Foods under Regulation 258/97. A specific reference to mutual recognition is made under article 4. Those familiar with the earlier draft of the Decree will notice that other substances, like amino acids, carnitine or creatine, have been eliminated, as well as references to the uses of the different plants, in order to facilitate the adoption process at the European level. The indication of traditional uses may have conflicted with the claims regulation, Reg. 1924/2006. A decision on the Decree is expected within the next three months and, if positive, may provide welcome support for the use of botanicals in food supplements. NB: links are not necessarily to the current version of the legal document cited. Il 3 febbraio 2011 il Ministero della Salute italiano ha notificato alla Commissione europea e agli altri Stati membri, ai sensi della direttiva 98/34/CE, che intende adottare un decreto sulle piante ed estratti vegetali che possono essere utilizzati negli integratori alimentari, come definiti dalla Direttiva 2002/46. Il testo del progetto di decreto è disponibile qui. Il Decreto comprende circa 2000 piante che possono essere utilizzate in Italia e che attualmente non sono considerati Novel Food ai sensi del Regolamento 258/97. Un riferimento specifico al mutuo reciproco è riportato all’articolo 4. Chi ha potuto visionare la precedente bozza del decreto noterà che le “altre sostanze ad effetto fisiologico”, come aminoacidi, creatina o carnitina, sono state eliminate, così come i riferimenti agli usi delle piante, al fine di agevolare il processo di adozione a livello europeo . L’indicazione degli usi tradizionali poteva essere in contrasto con il Regolamento claim, il Reg. 1924/2006. Una decisione sul decreto è previsto entro i prossimi tre mesi e, se positiva, può fornire un sostegno benvenuto per il settore erboristico. NB: i link non sono necessariamente alla versione corrente del documento normativo citato.